1 Centers for Disease Control and Prevention. Use of Standing Orders Programs to Increase Adult Vaccination Rates. Morbidity and Mortality Weekly Report 2000; 49(RR01): 15-26. 2 Center for Excellence in Primary Care. University of California-San Francisco 2013. 3 Immunization Action Coalition. IAC Funding 2018. Nov. 15, 2018. 5 NVIC Advocacy Portal Team. State Vaccine Legislation in American 2015-2017: Follow the Money. National Vaccine Information Center Oct. 25, 2017. 6 Immunization Action Coalition. Using Standing Orders for Administering Vaccines: What You Should Know. Immunization Action Coalition December 2018. 7 The Military Health System. Standing Orders. Health.mil January 2019. 8 CDC. Vaccine Recommendations and Guidelines of the ACIP: Jan. 10, 2019. CDC.gov. 9 Health Resources & Services Administration. Vaccine Injury Compensation Program Data and Statistics. HRSA.gov Mar. 1, 2017. 10 Parpia R. The Safety Implications of Pharmacists Giving Vaccines. The Vaccine Reaction Apr. 22, 2017. 11 Parpia R. Biologics R Vaccines: Beware of “Informed Consent”. The Vaccine Reaction Jan. 31, 2018. 13 Fisher BL. Why Is Informed Consent a Human Right? NVIC Newsletter June 28, 2017. 14 Universal Declaration of Human Rights. United Nations Dec. 10, 1948. 18 Responses to "Five Vaccines Added to DoD’s “Standing Orders” Program"
To say that vaccines are safe for all and there are almost no contraindications is absurd; that’s just Big Pharma wanting their money, not a medially sound statement. Introducing a foreign protein to anyone’s body always carries a risk; more for some than others. And those are introducing foreign proteins! How would we know these things if it were not for NVIC, The Vaccine Reaction. God Bless you for enabling us to be knowledgeable about what has been and is going on behind the scenes in this sector. Frightening does not even begin to describe it. This is how the “Health” Dept. gets away with the drive by shootings of Flu Vaccines. They advertise, you drive by, get the flu shot, and off you go. No waiting for a reaction time. The Flu vaccine injuries are paid out by the Governments Grand Vaccine Master. Big Pharma all the way. There are several either typographical and/or grammatical errors throughout this article. These take away from the substance and importance of the information within. How are people so blind to what is going on?. They have implicit faith in doctors and their recommendations. Don’t doctor’s make mistakes? How often do they get it wrong? have a much higher error rate than older doctors. If your lucky 50% of the older one’s get it wrong. And then there is the treatment. there is no way a doctor can know what he is prescribing. without reference to the patients biochemical status. This is madness. one needs to take CO Enzyme Q10. discovered with a little research. this sort of thinking is for children..
pecuniary interest. They are worth their weight in gold. America is fast becoming a mirror of Nazi Germany or Stalinist Russia. Human rights are eroding faster than at any time in our history, and the Constitution is being torn to shreds. This type of medical tyranny MUST NOT STAND! When the title says “Five Vaccine’s Added….” I wish it would be easy to scan through the article and clearly see what those five are. I couldn’t find them listed. There is a word “here” in blue right above the second bold title ‘Safety Implications of Standing Order’ that will link you to the list. Every time you or your child gets a vaccine, you are taking part in an experiment! There has not been a single safety trial for vaccines. Therefore, every time you get one, you are the subject in an experiment. I agree. However, it is not a mirror, it IS the nazi’s … we took their scientists into our country and gave them freedom to run their ‘program’ here. See “Project Paperclip”. I never understood how military top brass could allow the injury of their people, by the Anthrax Vaccine. How could Gov & Military do that, to its people? _ BiG money went to pushing the later-even-worse vaccines on the population. BIG PIG PHARMA bought “our” gov. Greed! The Rich Filthy Thus, since 1986, you cannot sue the vaccine/drug/chemical makers/sellers. Corporations control the gov: fascism. _ Thus, now I understand, HOW “OUR” “REPRESENTATIVES” COULD DO THAT, TO THEIR NEIGHBOR CITIZEN CONSTITUENTS!!! They’re “souled-out.” Garbage! _ It’s so true it just makes me sick. Maybe, We The Poor People hallucinate we can’t fight city hall, just because they’re sick tyrants. _ Visit “your” “Reps.” Ask them to help STOP the Ultra-Rich VACCINE COMPANIES. Post their responses. It won’t be long before they block you from visiting. THIS IS FOR WHAT YOUR PHONE WAS MADE. Only 4 are mentioned, our facts need to be accurate and impeccable. ..
Our bodies have no deficiency of a single drug or vaccine! In addition to active duty, the DOD “Standing Orders” ALSO apply to all Guard & Reserve members so that IF they are not current with their medical status (immunizations), they are considered to be in a NON-deployable status and will eventually be dropped from earning points and pay. Basically, this would end your part-time career as Guard or Reserve. Regarding the dependent family members, my experience is that the dependent children are required to be current with all required vaccinations to be able to attend Dept of Defense Schools, base child care facilities, and youth center programs. There are medical and religious exemption/waivers ONLY – no personal belief exemption/waivers will be recognized. Being overseas in the DOD limits your rights because you are not geographically located within a US state. Also, your school and child care options are more limited overseas due to language, cultural, and legal barriers. 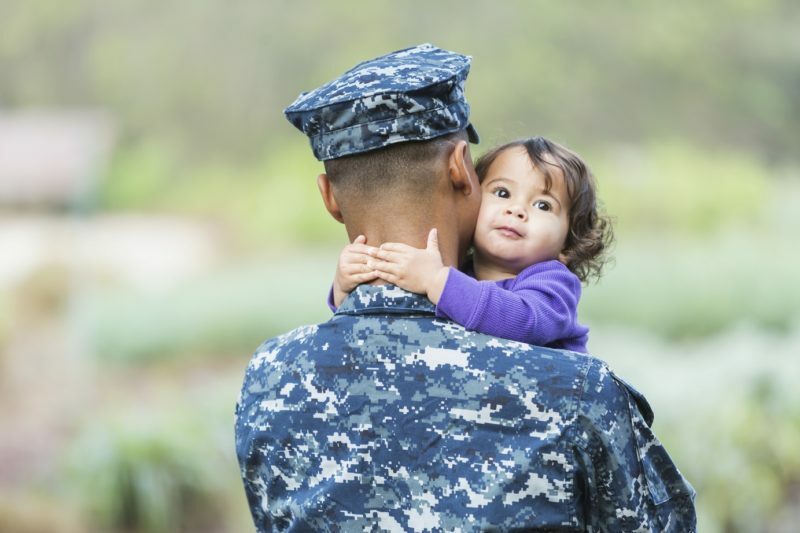 In addition, the DOD mandates that ALL immunizations are administered to all dependent family members in order to PCS (Permanent Change of Station) to an overseas location.